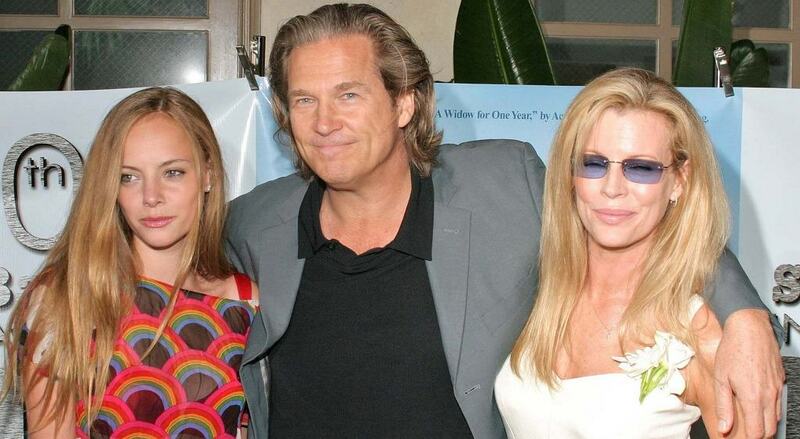 Jeff Bridges is known for his multi-talented ways, famous family, and highly notable beard. Lovingly known as “The Dude” from his famous role in the Big Lebowski, this actor, singer, and producer is just as laid back and cool as the characters he’s played in films. He has carved out a name for himself as one of the greatest performers of his generation. One celebrated critic even proposed that Bridges might be the most natural screen actor ever. One of the most famous parts of the actor, however, is that classic Jeff Bridges beard. The few times he shaved it for roles, he quickly drew attention, as he didn’t look like the same ol’ Jeff Bridges the masses came to know and love. Bridges is most known for his famous roles in The Big Lebowski, the Tron movie sequence, Iron Man, Seabiscuit, and The Giver. He has been seen in over 80 feature films since his start in the move industry at age of 2. Other notable movies Bridges stars in include Hell or High Water, Men Who Stare at Goats, The Last Picture Show, Thunderbolt and Lightfoot, The Contender, Against All Odds, The Fabulous Baker Boys, and Fearless. In 2009 Jeff Bridges won the Academy Award for Best Actor for his portrayal of Otis Blake in Crazy Heart, a film about a washed-up country singer trying to turn his life around. 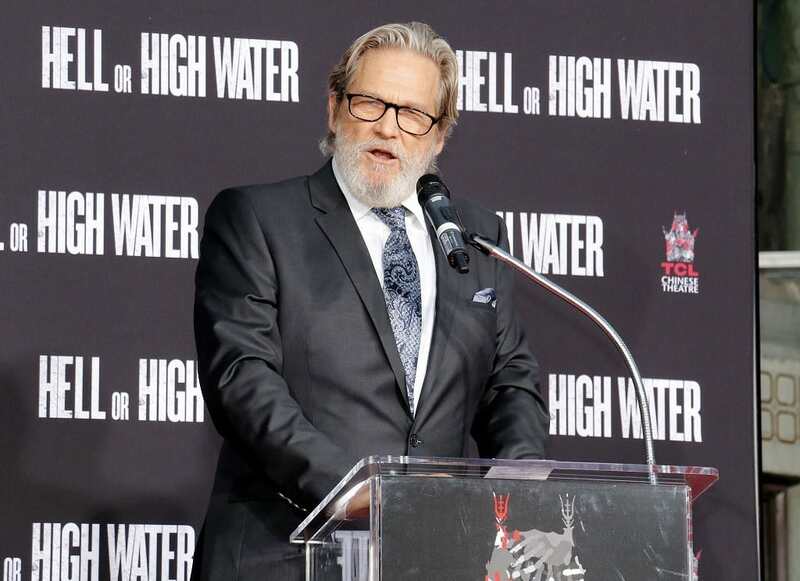 Bridges was also nominated for four Academy Awards for his roles in Thunderbolt and Lightfoot, Starman, The Last Picture Show, The Contender, Hell or High Water, and True Grit. As Jeff began to grow into himself in the world of Hollywood, he also began to grow into his signature style. In the 90s he began growing his hair out long. Eventually it reached his now-iconic shoulder length style, and the facial hair came in with it. His laid-back attitude and seemingly lackadaisical outlook helped to punctuate his style. Loosely unbuttoned shirts on set or a slightly wonky bowtie at a red carpet event became his trademarks. Yet, somehow, he managed to look good in anything. Nowadays Bridges style is simplistic and suave, but hasn’t lost that easygoing manliness. When it comes to famous bearded men, Bridges is undoubtedly sitting near the top of that list. Bridges facial hair has followed him through his many successes in life, and has now become an indistinguishable part of his being. When he does shave it for a role, fans are shocked to their core. Saturday Night Live even did a special backstage video of him shaving off his beard in preparation for his hosting gig. Fans everywhere gasped in unison. His facial hair style slightly changes over time, with little edits and adjustments made to fit whatever mood the actor may be in at the moment. Sometimes he sports a long, big beard, sometimes it’s a much more trim goatee, and sometimes it’s somewhere in between. It’s a fair statement to say he’s tried out all beard styles at least once. The two best tools for growing out a luscious beard like Jeff Bridges are time and patience. In addition to letting your facial hair grow out, there are some techniques you can use to make sure you’re growing the beard of your dreams. If you want to grow a beard faster than it seems your face is allowing on it’s own, try taking a hair-growth supplement such as Biotin. If you’re low on Biotin production, this boost could be what you need. You should start using beard oil every day in order to grow a thicker beard overtime. A properly conditioned beard will be a strong, long, and healthy beard. If you’re also trying to incorporate nice sideburns into your facial hair masterpiece, use oil on those areas as well. In addition to oiling it, you should also brush or comb your beard every day. This will help distribute the product evenly and train the hairs to curve in the direction of your liking. Other than these few tips, not shaving or trimming your beard is key during the period of outgrowth. After a few months of patience, you’ll look in the mirror to see a luscious face of hair staring back at you. 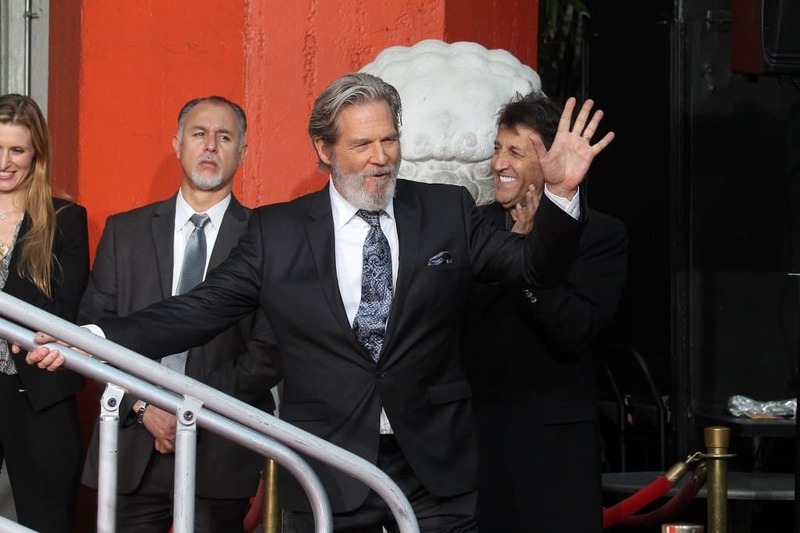 Now that you’ve grown out a healthy beard, it’s time to style it after Jeff Bridges. In his later days, Bridges has sported his naturally salt-and-pepper facial hair. If you aren’t naturally blessed as a silver fox but still want the same look, you can dye your facial hair to get the same results. If you’re asking how to dye your beard, it’s simple. Next to the men’s hair dye in the grocery store aisle, you’ll find boxes of beard dye. These come with smaller amounts of dye and directions specifically for facial hair. If you can follow a few simple instructions, you’ll have that glorious gray look in no time. So you’ve achieved the color and thickness needed to take after the facial hair stylings of Mr. Jeff Bridges himself. Now is time for the grooming. To get the signature “The Dude” look, focus on close and narrow, mid-length sideburns with a shapely mustache and goatee pair. 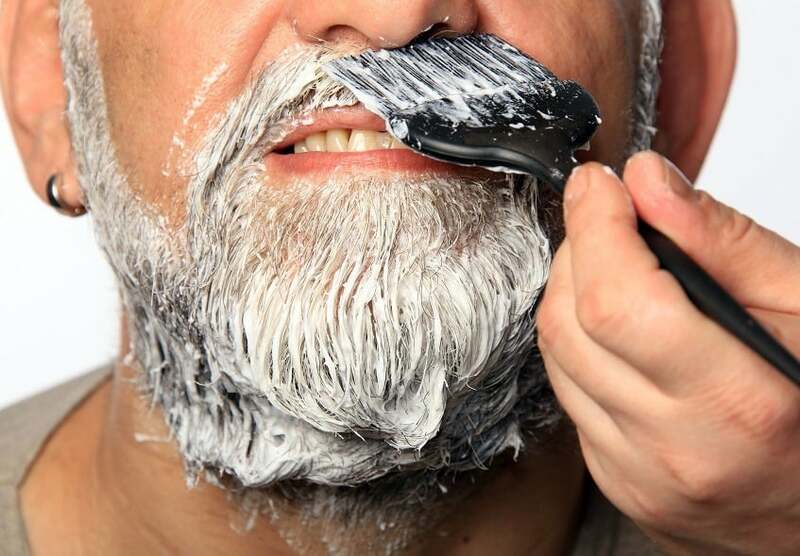 Keeping a few tools in your bathroom will help in maintaining the highest-quality beard possible. First and foremost, make sure you have a beard brush or comb. The best beard combs are usually ones made out of wood, but that debate is still going on. Depending on how long your beard is determines how wide and thick the teeth of the comb will be. You should also use a beard shampoo such as Professor Fuzzworthy’s in order to keep it clean and soft. Lastly, a beard shaper may not be something you have in your arsenal if you’re new to the beard crew. Investing in a new beard shaper would be a good idea to ensure you’re ready to shape and maintain whenever the hair starts to get out of hand.